Many families are going through tough times, and even more so during the holiday season. The United States Marines have always made it their mission to make sure every good little boy and girl gets a nice new gift for Christmas, and here is how you can register for the program. Our Texarkana Marines are working hard to gather toys for boys and girls here in Bowie County, Cass County, Camp County, Franklin, Morris, Hopkins, and Titus Counties in Texas. Miller and Hempstead Counties in Arkansas and McCurtain County in Oklahoma. With the help of many fine citizens in our region and of course the many businesses that donate money and toys, and help with “Toys for Tots” in other ways, hundreds of little boys and girls will have a very merry Christmas. To sign a little boy or girl up to receive a toy, visit the website by clicking here. For those that may not have the ability to register online, applications will be taken in person at Southwest Center on 7th Street November 26th to 29th from 8:30 am to 3:00 pm. TOY SIGN UPS OFFICIALLY STARTED OCTOBER 9, 2018 VIA THIS WEBSITE. BUT FOR ANY REASON YOU OR SOMEONE YOU KNOW IS UNABLE TO SIGN UP VIA THIS WEBSITE, WE WILL BE CONDUCTING SIGN UPS ONLY FOR THOSE WHO DON’T HAVE COMPUTER ACCESS FROM NOVEMBER 26TH – 29TH, 2018 AT THE SOUTHWEST CENTER, 3222 W. 7th STREET TEXARKANA, TX, FROM 0830AM – 3PM M-T.
For any further questions, feel free to contact us at 903- 838-4341. Toy Pick ups wll be 17- 21 DEC 2018 location to be determined. 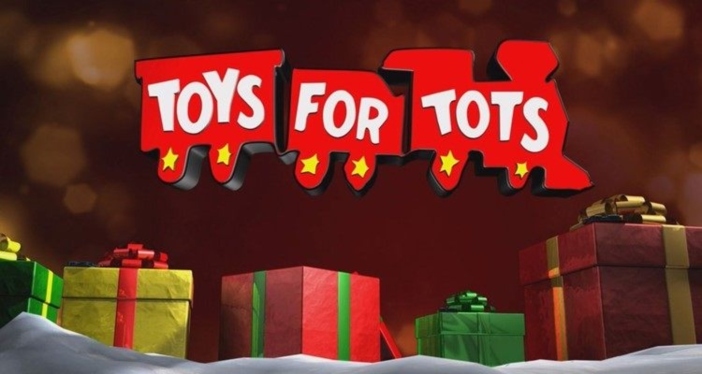 Please check back at Texarkana Toys For Tots Facebook page for updated information. 1. Select Family Toy Request Form on homepage under give&receive block. 2. Fill in the form with ALL necessary info. 4. Click submit to submit the form. – Notarized Document from one of the parents, listed on the Birth Certificate or Court Document, authorizing you to sign and receive toys from this program on their behalf.